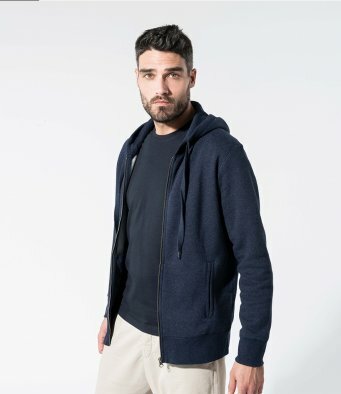 Material: 80% OCS certified organic cotton/20% polyester french terry. Double fabric hood with ribbed edge and self colour drawcord. Ear phone access on neck and front pocket. Unbranded size label at neckline.